On October 28, 2015, I am a motivational speaker for the GeoAlberta conference at the Delta, Edmonton South Hotel. Over 450 GIS professionals will gather to discuss Geo Spatial information. On October 23, 2015, I will be the closing motivational speaker for the Activity Professionals of Ontario conference at the Ambassador hotel in Kingston, Ontario. On October 24, 2015, I am a motivational speaker for the Health Records Association of British Columbia. The convention, taking place at the Hilton Vancouver Airport Hotel, will attract over 300 healthcare information management professionals. 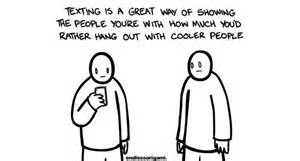 Many complain about being ignored and disregarded by someone who is absorbed in their smartphone or other technology. It begs the question, does technology make us rude? Rule number one is always use a microphone when giving a motivational speech. Don't give the guest speaker an option. Countless times, I have seen a speaker decline to use a microphone because they claim they have a loud, powerful voice, only to leave the audience annoyed because they can't hear. Because of different room set ups or noise in the adjacent room- a speaker's voice can come across as muffled or words can be missed and people have to struggle to hear. Many audience members are also hearing impaired and they will miss dropped vowels or mumbled words. On October 7, 2015, I am a motivational speaker for the Schedule 2 Employers Group Conference in Toronto, Ontario.